When I first made these I thought they could be my homage to St Patrick’s Day, you know, what with the green tomatillo sauce (too much of a stretch?) but then I made the Irish Tea Cake I shared last week and all thoughts of enchiladas flew out of my head as I floated to the skies in cake-happy rapture. Now, that I’ve landed and am firmly back in Monday mode (read: what should I make for dinner tonight?) these yummy vegetarian enchiladas are back in my thoughts. ‘Cause they’re so, so good. Full of amazing Tex-Mex flavor and miles away from all the corned beef, cabbage and potatoes. They’re also meatless—if you’re into the Monday Meatless thing or just looking for a great vegetarian option. And they come together without much effort and can be made ahead. Plus, there’s homemade tomatillo sauce which you absolutely don’t have to make—you could totally sub in a store bought version and the enchiladas will still be great—but if you do make it, you’re going to love it. I already have another version on the site, which is amazing, but a bit more time consuming and since time is money, folks, this is now my new go-to. Just a bit of tossing, roasting and blending and you wind up with a little spicy jar of goodness that you can use for these enchiladas and so much more! YUM!! Now on to the enchiladas. Basically, all you do is sauté mushrooms, onions, garlic and jalapeño together with some spices and add some black beans. Then that all gets wrapped up in a soft flour tortilla. Next, you line up those rollups side by side in a casserole dish and top them with a generous amount of the tomatillo sauce. And a generous amount of cheese. And then everything cooks up together so that it gets all gooey and cheesy and messy and enchilada delicious! So much texture and flavor in every bite! This was a big hit in my house and I’m pretty sure it will be in yours too. And all on a Monday. Keep your fingers crossed that there are leftovers!! 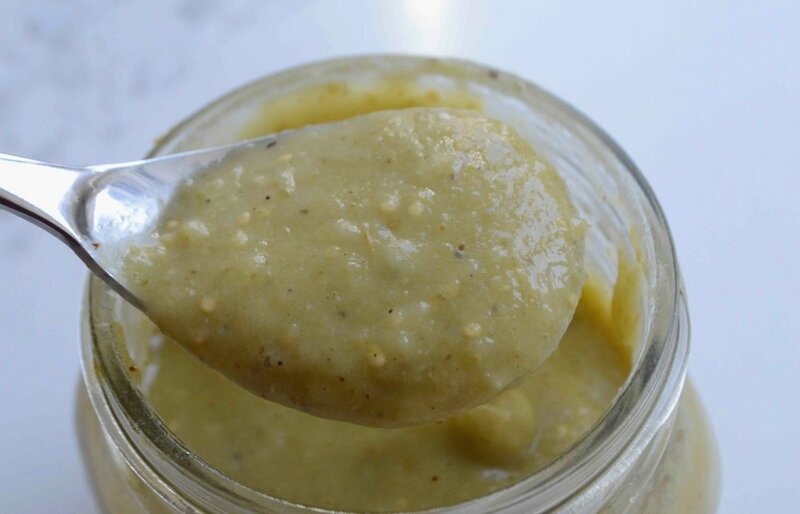 You will need a blender or food processor for the tomatillo sauce. 1. To make the Tomatillo Sauce: Place a rack centered in the oven and preheat the broiler. Line a large rimmed baking sheet with aluminum foil. 2. Toss all of the ingredients together in a large bowl and then spread out onto the baking sheet in a single layer. Broil for about 10-15 minutes, until the tomatillos start to char and fall apart a bit and the jalapeños and onions are charred as well. Remove and let cool a bit. Peel the garlic. Then place everything in a blender or food processor and blend until smooth. You can make this up to one week ahead and keep covered and chilled in the fridge. Also, this makes more than you need which in my book, is a wonderful thing. 3. To make the enchiladas: Preheat oven to 350ºF and spray a lasagne sized baking dish with nonstick cooking spray. Set aside. 4. Heat the oil in a large skillet over medium heat. Add the onion and cook for about 10 minutes, stirring often, until golden and softened, but not dark brown. Add in the garlic and cook for 1 minutes, stirring constantly so that the garlic does not burn. Add in the mushrooms, jalapeño, salt and pepper and turn the heat to medium-high. Cook for about 7-8 minutes, stirring often, until the mushrooms soften and release their water. Add in parsley or cilantro, beans and broth (or water, if you want to keep this vegetarian) and cook for a few minutes, until everything is heated through. Let cool a bit. 5. Spoon about 1/2 cup of the filling onto a tortilla closer to one edge rather than in the center and roll up as tightly as you can. Place it seam-side down into the prepared baking dish. Repeat with the remaining tortillas, wedging them into the dish next to each other. Pour about 1 cup of the tomatillo sauce across the top and then sprinkle the cheese evenly over that. Bake for about 25-30 minutes, until the cheese is gooey and bubbling and the edges of the tortillas are crisp. 6. Sprinkle on the reserved parsley to garnish and serve with additional tomatillo sauce. This reheats really well in the microwave or a low oven. Store in an airtight container for several days in the fridge. You could also make the entire dish the day before up through the filling of the tortillas and placing them in the baking dish. Then I’d cover and chill it. Before you’re ready to cook, simply layer on the sauce and cheese and then bake. Note: Recipe adapted from Cravings: Hungry For More by Chrissy Teigen. I tinkered quite a bit with this one and swapped in and out ingredients for the enchiladas but I pretty much stayed to the recipe for the tomatillo sauce.